Yesterday I did another aimless walk through the aisles of Ulta. 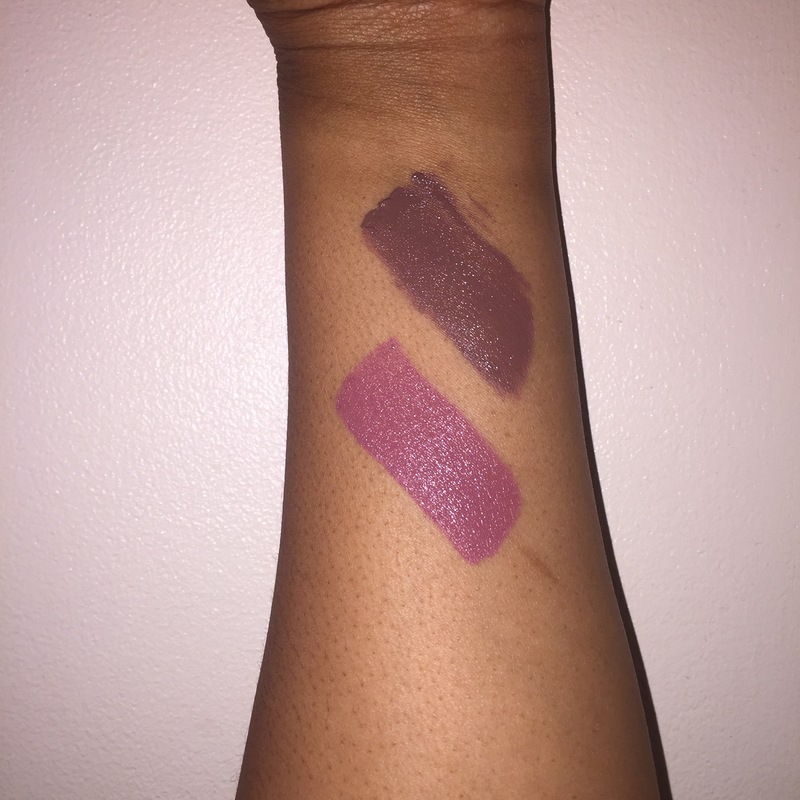 I stumbled across the Nyx Lingerie liquid lipsticks and decided to give them another try. Last year when they first released I bought one in the shade “Teddy”. Unfortunately, it was way too dark and cool toned for my liking. It literally made my lips look like I’ve been smoking since age 5. I was immediately turned off and never reached for it again. This time I purchased the shade “French Maid” with high hopes of redemption. In the tube it appeared to be a mauvey shade but upon application it pulled more purple-which I do not mind. Thankfully, no liner was necessary and it is quite wearable. The liquid lipstick wand has a flat doe foot applicator; which made application super easy and gave the perfect amount of product. I put this lipstick to the ultimate test and wore it to work. I worked 9 hour shift and this lipstick didn’t budge once. I ate leftover slices of pizza for lunch and had several drinks throughout the shift. I couldn’t believe it! For this liquid lipstick to only cost 6.99; the formula is simply amazing! I am definitely tempted to buy more. These give you everything one could ever desire from a liquid lipstick. They dry down to a matte finish and the formula isn’t too drying. Not to mention they can be found a your local Ulta and Target. I feel like the Lingerie collection is full of nudes, minus a few shades, but there’s definitely one for everyone! I prefer these over Nyx “Liquid Suede” lipsticks because they actually dry down matte. Leave a comment down before if you’ve tried these.